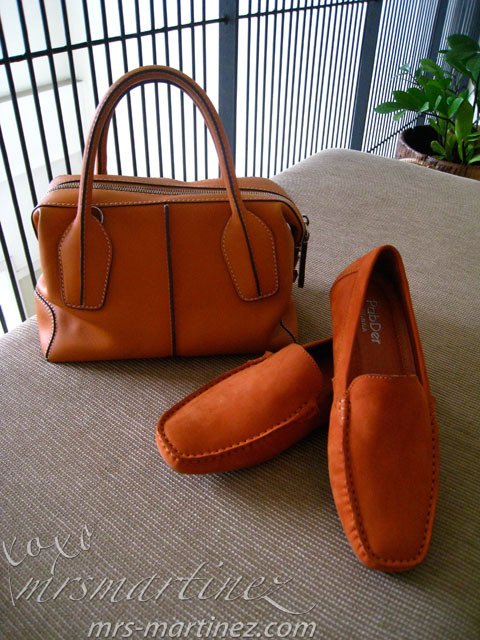 Some girls are crazy over watches and clothes, well, I am crazy over bags and shoes! 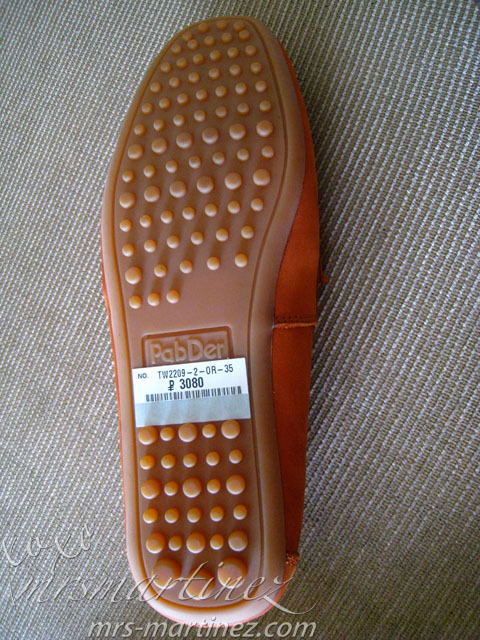 To prove my point... a few weeks after I received a pair of Aldo Lemert and a few days after I bought a Yosi Samra fold-up ballet flats, I bought my very first Italian hand-made shoes from a brand called PabDer Uomo Italy. 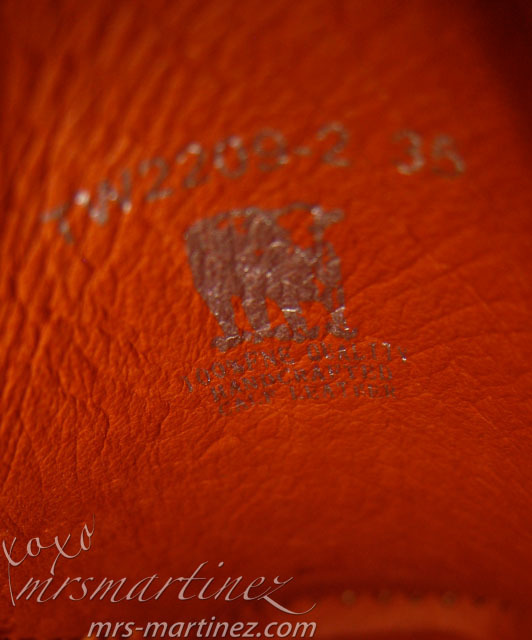 The brand started in 1985 with a line entirely for men (Uomo in Italian) but in recent years, it has expanded its reach, thus, the women line (Donna in Italian) was born. 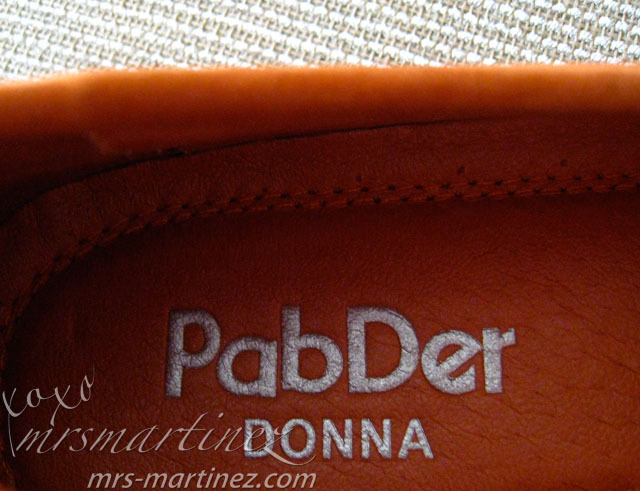 After months of saving, I finally bought a pair of PabDer Donna ; p Before that, I visited almost every PabDer boutiques I saw in the malls I frequented to. 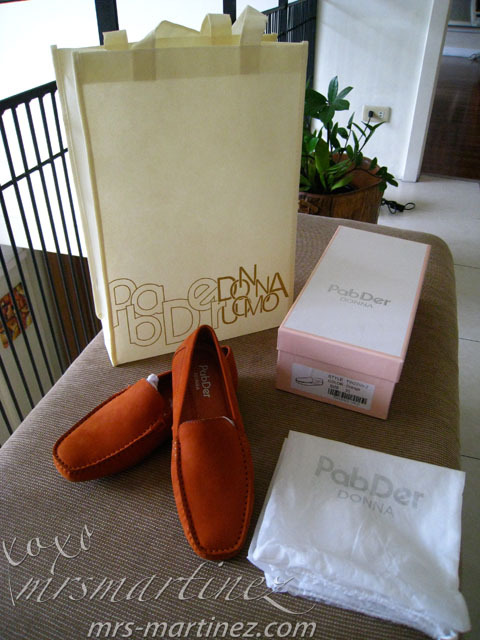 I was actually eying for this pair of loafers but when I went to PabDer Greenhills (Shoppesville) last November 8, I chanced upon this orange PabDer Donna (shown in the photo above). I squealed with delight, ok, that happened only in my head ; p The color seemed to match my Tod's D-Styling Bauletto Mini so I am really interested and focused on purchasing one. 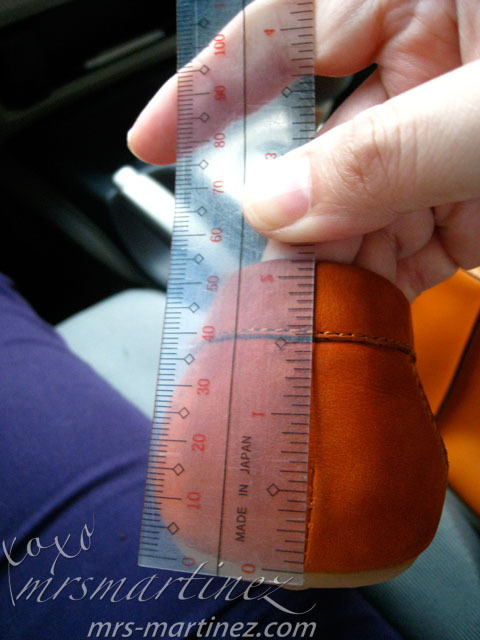 Full review and how to spot a fake Tod's here... double yey! I reiterated that I wanted a new stock so I left my contact details to the SA. In return, SA called other branches and found another pair in stock. 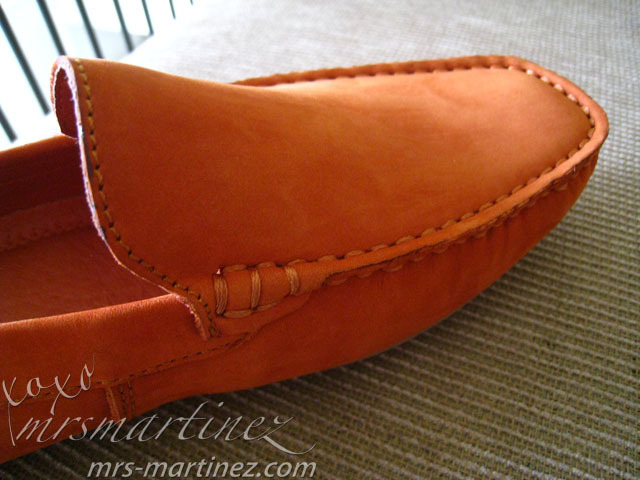 I was told that the shoes will be arriving at 12nn the very next day... yipee! 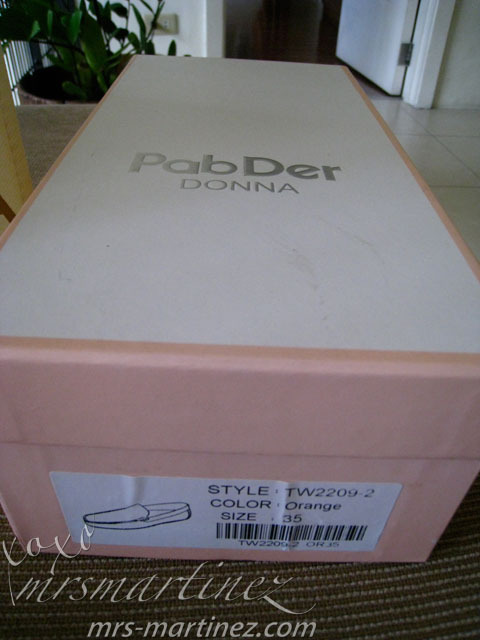 PabDer box contains the Style, Color and Size of the shoes. 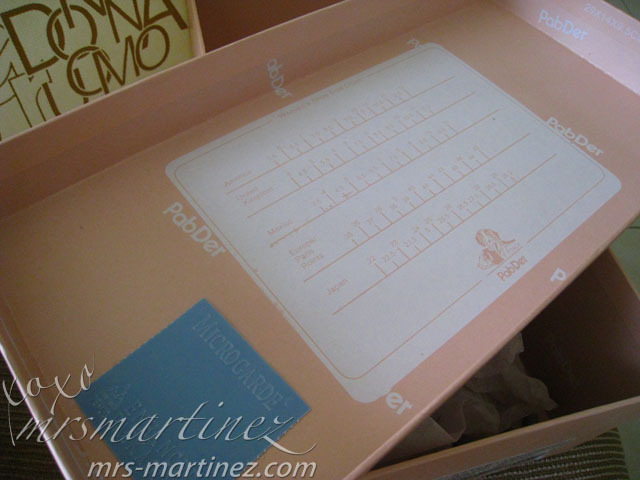 A barcode and a shoe illustration is also found on the box. By far, this is the comfiest shoes I have ever worn. 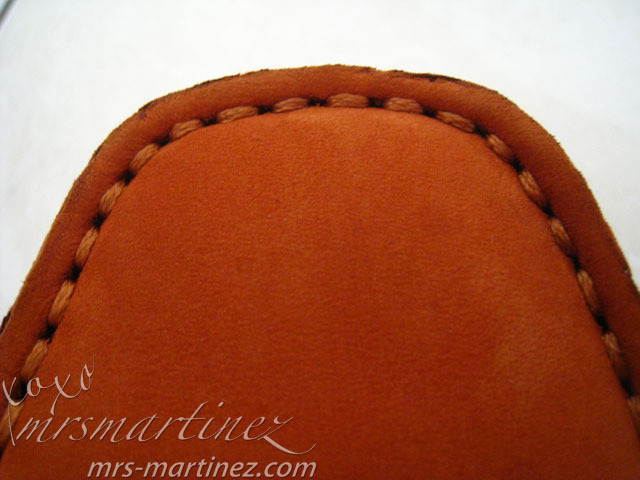 The insoles are padded. 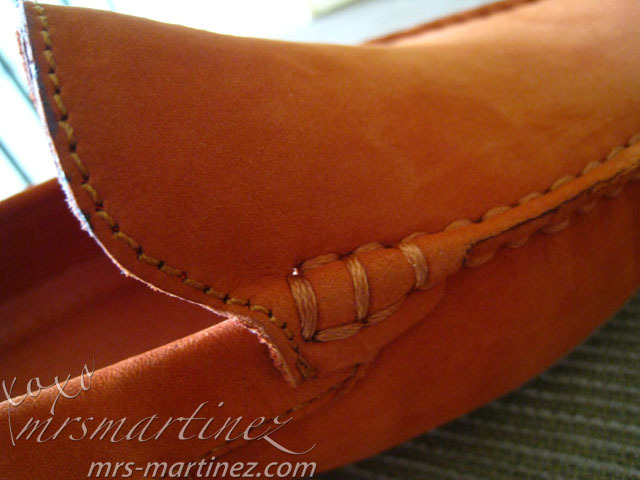 It gives your feet a cushion while walking. 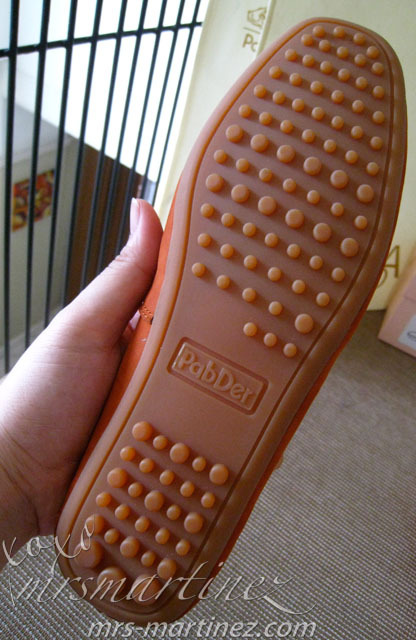 Imagine yourself walking on top of a foam, that's how PabDer's insole feels like. 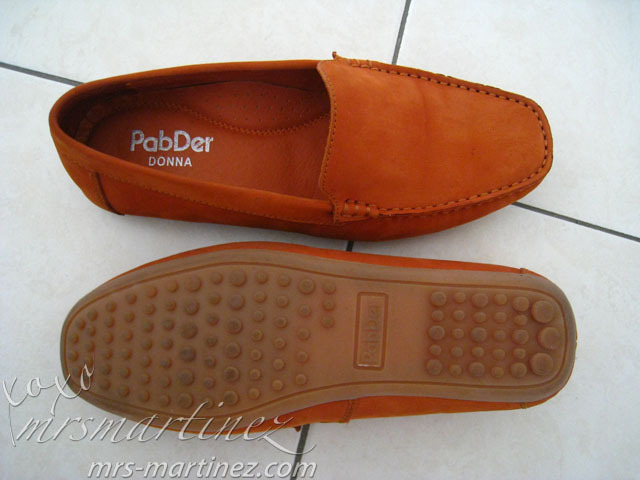 As I have said, PabDer is true to size unlike Yosi Samra where you have to get one size bigger for comfort. I don't know what's wrong with shoes and I. I always end up with some sort of a problem ; p Remember my problem with Melissa Shoes which was not resolved by the store? I even emailed the company to no avail. How about Yosi Samra? Anyway, like with Melissa Shoes, I noticed something was wrong with my shoes while I was taking a photo of myself wearing it. 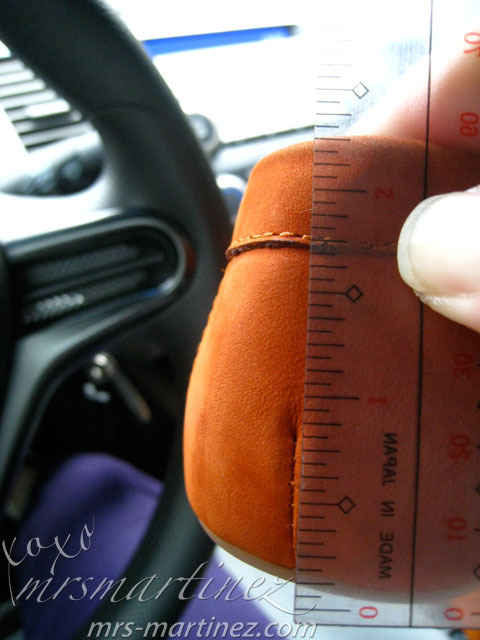 The back of the left shoe is longer 0.2 inches. It's poking the back of my foot ; ( The back of the left shoe is longer 0.2 inches. Anyway, I gave the store a call and I had it exchanged the very same day I got it ; ) At least they have an exchange policy... bravo! BTW, I was informed by the SA to collect my receipt. 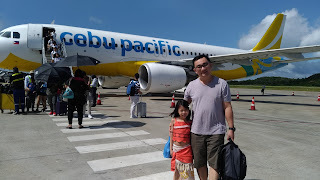 If I will be able to collect a total of PhP 10,000 worth of receipts within a year, I can have my very own discount card which allows me to purchase regular items at 20% off. What a deal! Did you buy a pair of shoes recently? Kindly share your experience with me. Thanks.